When considering how to provide for a loved one with special needs, including someone with a lifetime developmental disability or a present alcohol or drug dependency, who may now or later need government assistance (Social Security Income (SSI) and Medicaid), proceed cautiously. The distribution of assets outright through lifetime gift or inheritance may disqualify the person from government assistance, which is based on and has restrictions on, the person’s income and assets. One way to provide for that person without affecting their eligibility for the benefits would be to establish a third-party Special Needs Trust. How does the Special Needs Trust help? A properly drafted Special Needs Trust will help ensure that the assets in the Trust are not counted for the purpose of determining eligibility for governmental benefits. A Special Needs Trust provides a source of money that can be paid in small amounts either to the beneficiary, or for his or her benefit, without otherwise disqualifying them from governmental benefits. The trustee, who should be given complete control and absolute discretion regarding disbursements, will ensure that any amount paid to the beneficiary would not increase the person’s income or assets above the amounts set by the government program and cause the benefits to stop. Are there any other benefits of such a trust? The Special Needs Trust can also own certain tangible assets that are available to the beneficiary, such as a car. What happens after the trust beneficiary passes away? After the death of the special needs individual beneficiary, the balance of the trust fund will be distributed to other trust beneficiaries. What if the disabled person has his/her own assets which exceed the requirements of the government program? Special Needs Trusts can also be self-settled Trusts, using the disabled person’s own assets to fund it. The disabled individual would then be both the Grantor and the beneficiary of the trust. 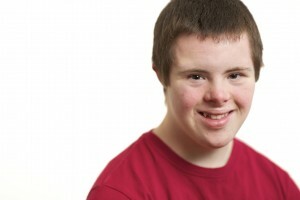 With a self-settled type of trust, after the death of the special needs individual beneficiary, the balance of the trust fund will be distributed to other trust beneficiaries as before, but only after paying back the government for the governmental benefits provided to the individual during his or her lifetime. That is why these special needs trusts are also sometimes referred to as “Payback” Trusts. However, if the trust fund has been fully used up during the person’s lifetime then no reimbursement to the government would be required. Special Needs Trusts can be a valuable tool in planning for disabled individuals but must be drafted carefully by a qualified Elder Law attorney. If you would like to discuss setting up a Special Needs Trust, call Mike.